A few days ago, it was a cold, windy rainy day here in Philadelphia. 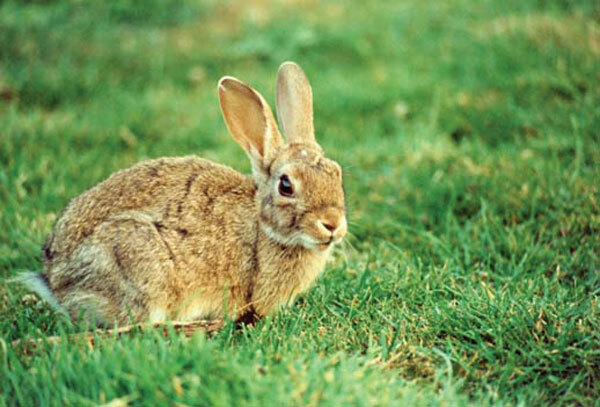 I was doing my normal household chores when I noticed a rabbit sitting in my backyard. Without question, I stopped what I was doing and just watched the rabbit. Here I was in my nice, warm comfortable house and there was the rabbit, sitting perfectly still. He seemed to be perfectly content and unfazed by the storm going on about him (or her I suppose). I was able to feel a connection because I was warm and comfortable and protected from the elements. I felt a message that I could be just like him, neither fretted or vexed when I find myself in the elements. As I continued to observe my little messenger, I notice that he was being anything but perfectly still. Her body appeared motionless, but her nose was going a mile a minute. His whiskers were twitching and occasionally there was the slightest leg adjustment. It was beautiful to watch. A perfectly happy work of nature doing nothing more than being perfectly calm and still, yet hyper alert. I myself felt quite relaxed and entertained by the observation. In an instant the messenger took off and out the side fence. A moment after came my neighbor's dog, none the wiser as to the beautiful conversation that had just taken place. The next day the weather was much the same. I was out running in it as I prepare for my next marathon in just a few weeks. With the rain whipping around and my hands and face feeling all the cold had to offer, I thought of my messenger from the day before. I felt my soul as that rabbit. Calm, happy, content. Grateful to be doing the one thing I love to do, run. Though my mind was all over the place, and my body was feeling the elements, the distance and the junk food, my soul, the real me, was perfectly still. I tapped into that energy and that feeling I had the day before. It's that energy I am trying to stay connected to on a daily basis. 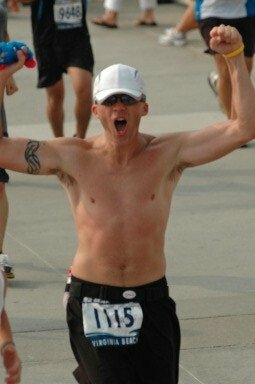 On May 13 I am running my 21st marathon. It will be the first under a new training mentality. As my mind continues to make waves (and wind and cold), I find a stillness and strength inside. I breathe, adjust, relax and enjoy. I have my little messenger to thank. By Scott Stewart. Learn more about Scott in his soul interview, A Man with Soul: Scott Stewart.